Welcome to the Brek-n-Ridge Farm Website ! Brek-n-Ridge Farm – An Island Paradise for Horses that you can Drive to! HORSES…TESTIMONIALS …OUR STAFF…. GET TO KNOW US. 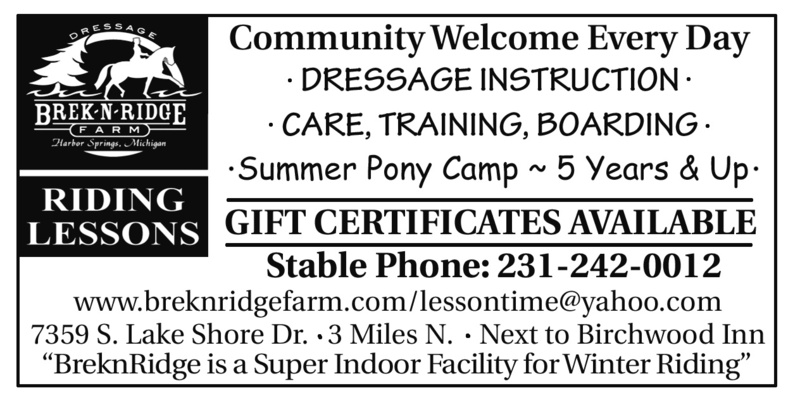 Brek-n-Ridge Farm is a full service stable that offers boarding, training and horse and rider education. We are a small, year round facility located in the town of Harbor Springs, Michigan in Northern Michigan. 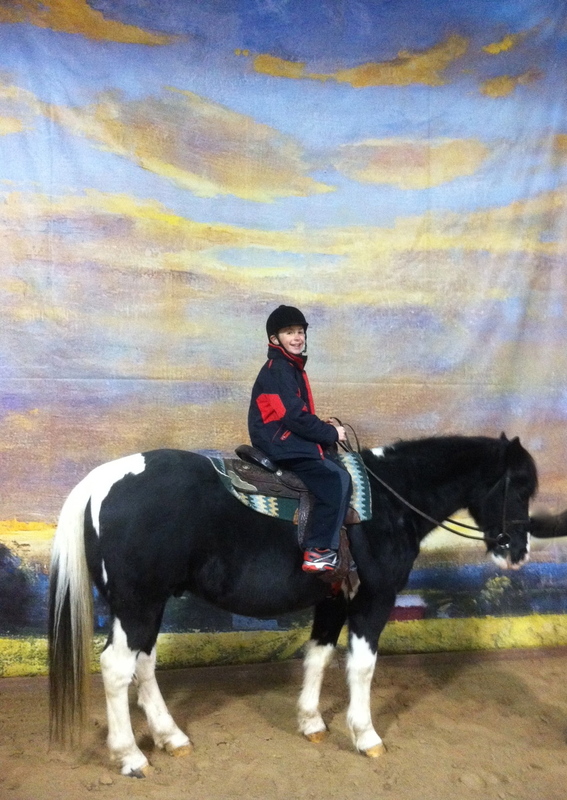 We offer riding lessons to adults and children, 5 years and up. Our Pony Camps are offered to children 7 years and older. After school programs can be available for all ages. We offer a special men and boys program teaching riding for polo enthusiasts, western riders, jumping competitors, learning how to trail ride and trek safely with your friends and family. Bring your horse or use ours! Reasonable rates and fun experiences. Our lesson horses and instructors are waiting to teach you. We will offer Pony Camps this summer and winter holidays. 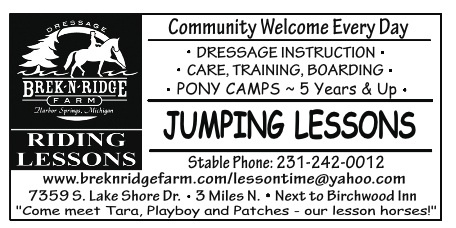 Read through our 2012 Summer brochure for more details on our riding programs. 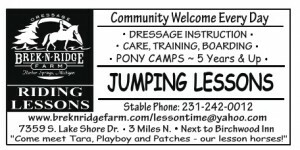 In the winters BreknRidge Farm is open to riders and trainers in small groups from all across the region to work with Karin furthering their dressage careers and obtaining their goals. “The winter time is a perfect time to move your horses up the levels in dressage, to increase the horses physical fitness and to gather around the dinner tables at night to discuss the sport. We are creating a European lifestyle at Brek-n-Ridge where horse people will come to stay for 3 to 5 days or longer in small intimate groups. Brek-n-Ridge is the premiere indoor facility in this region. We have several indoor facilities in our neighborhood that we work with to give our horses experience on other farms.” Karin continues.” I am confident that we can help make winners in the show arena’s – dressage and jumping, and that is fun work. The Birchwood Inn is next door to the stables and it is a wonderful getaway and provides the guests with a home away from home. Details regarding hotel etc and directions can be found under CONTACT on this website. EVERY SATURDAY WE OPEN THE FARM TO RIDERS, THEIR TRAINERS AND HORSES AND WE HOLD A LATE MORNING TO MID-AFTERNOON HORSE SHOW. CALL TO LET US KNOW YOU WILL BE ATTENDING, YOUR RIDES WILL BE JUDGED IN A “SHOW ENVIRONMENT” EITHER INDOORS OR OUTDOORS WITH UMBRELLAS AND A JUDGES STAND AND A PERSON TO READ THE TEST WILL BE AVAILABLE. Call Kate for details. Call us for additional information and to reserve your lesson times ( lessontime@yahoo.com ) or 231-242-0012.